Note: The price per adult drops when there are more adults in your group. That is because we have fixed costs to pay tolls, driver, etc. Kid prices remain the same, regardless of number of adults. Kids under the age or height listed above are free. 10 people max per vehicle regardless of ages. If you are a total of 11 people (including kids) or more, email us for a quote as you will need 2 or more vans. 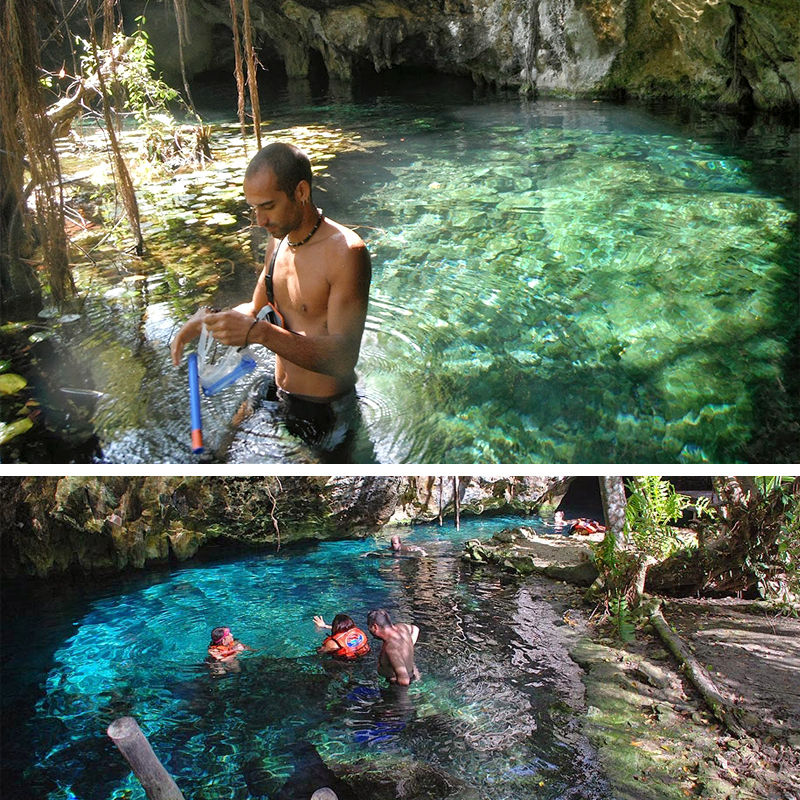 SKU: tulum-and-grand-cenote-private-tour. 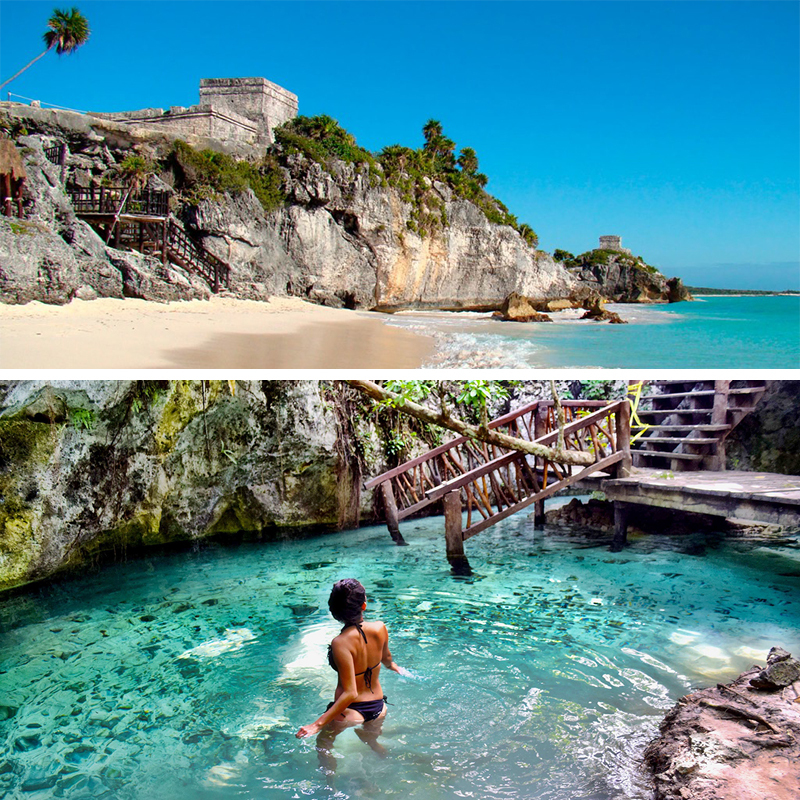 Categories: Private Tours Cancun - Itinerary Free Vacations. 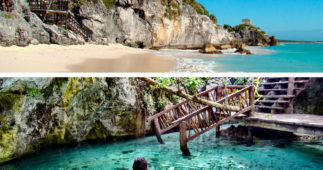 This great Cultural and Adventure tour will allow you to visit one of the most renowned Cities and the most important harbor of the Mayan Civilization that is protected by a wall, thats the meaning of Tulum that come from in the Mayan language and it has the most spectacular view of the Caribbean Sea, surrounded by its beautiful white sandy beaches. 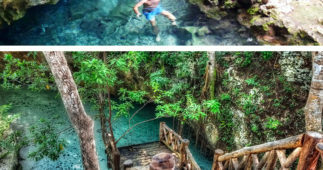 As part of this adventure you will have the chance to visit the Grand Cenote which is an stunning Natural Pool surrounded with millenary rock formations right in the heart of the Mayan Jungle. 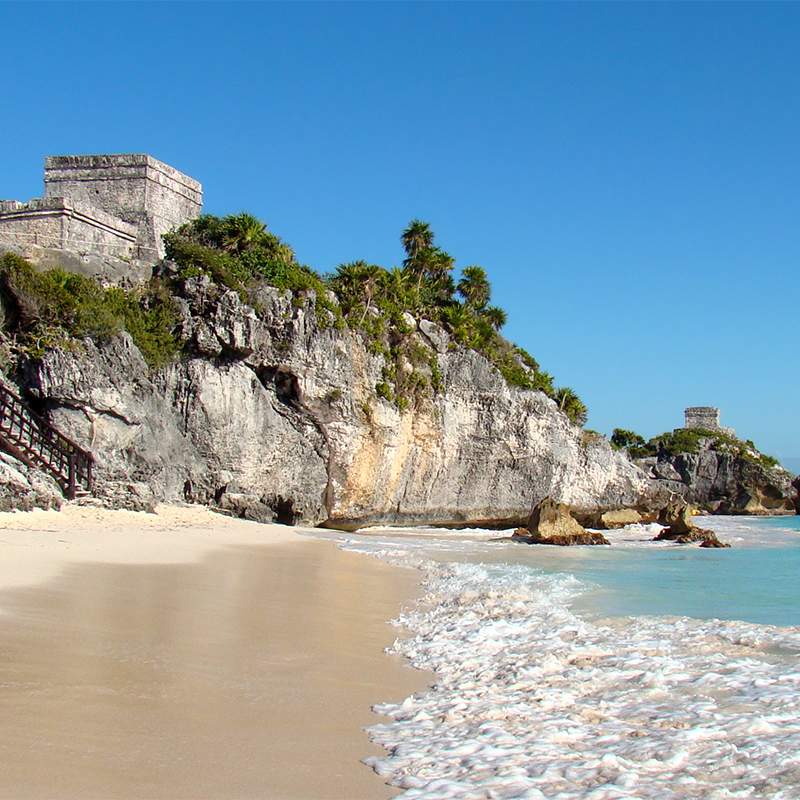 This adventure tour start with the the Pick up at your Hotel depending where are you staying Cancun or the Riviera Maya. As this is going to be a private tour, we recommend you to start the earliest possible in order to avoid crowds and the hot weather at the archeological zones. 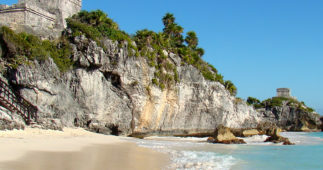 Once we arrive to Tulum we will start with our Walking Tour imparted by a Professional Tour Gide that will share with you every little detail of the Mayan Civilization, Culture, Sacred Places and why Tulum was a very important harbor to connect other Major Cities like Coba and Chichen Itza. 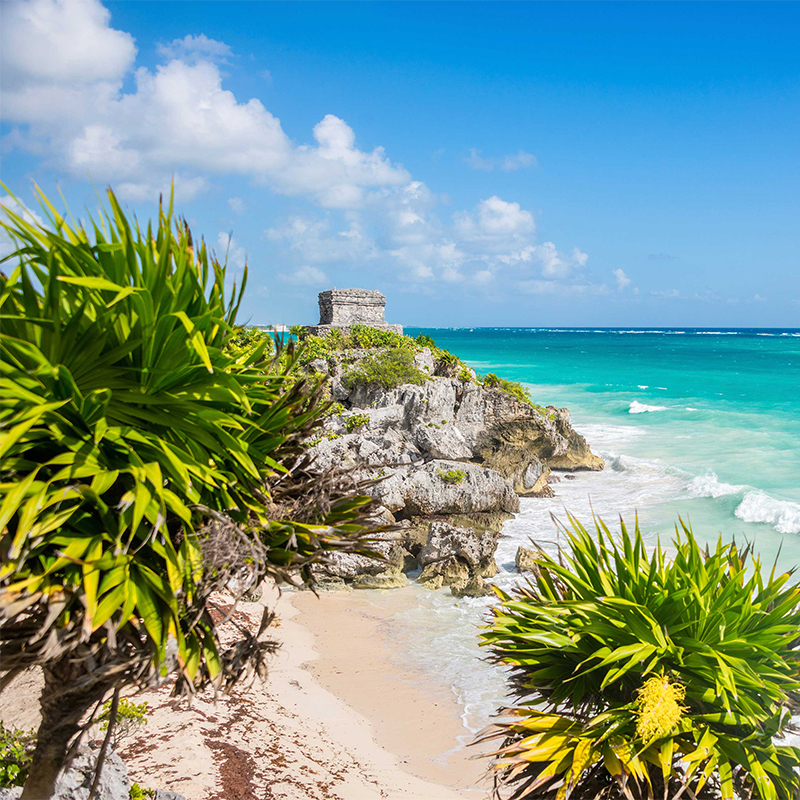 Once we finish with our walking tour, you will have some free time to get the best pictures of Tulum and the spectacular views of the Caribbean Sea. 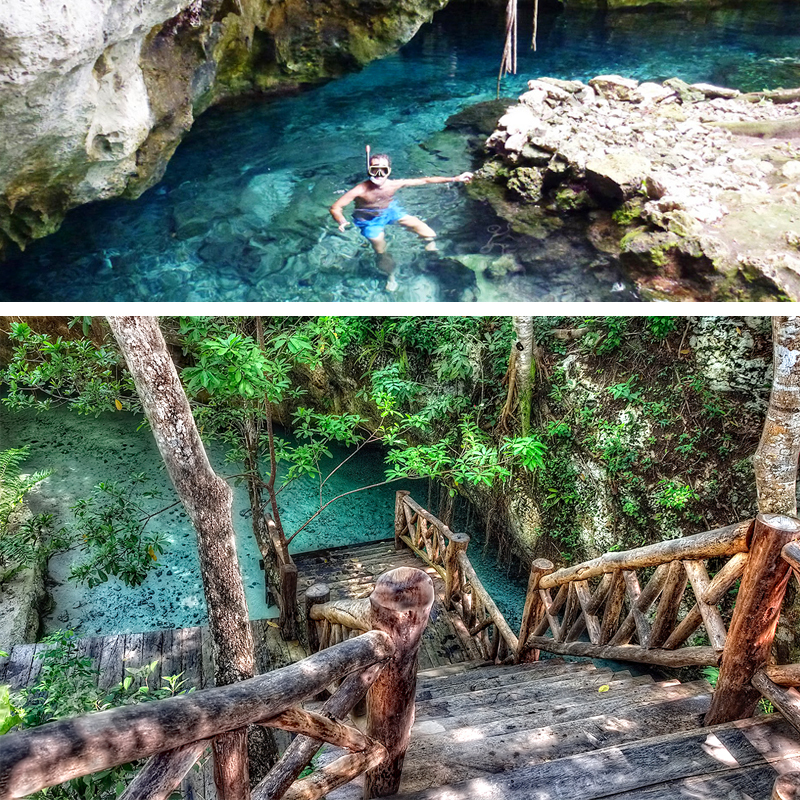 Our Next Stop will be at Grand Cenote which is a Crystal Clear Water Natural Pool surrounded by millenary rock formations, where you will be able to Swim and Snorkel, and you will be delight with a delicious Mexican Lunch at a Local Restaurant. Then we will start our way back to drop you off at your hotel. Cancellations made between 36-48 hrs before = 80% refund. Cancellations made between 24-36 hrs before = 50% refund. Cancellations made less than 24 hrs before = no refund. Extra Cash to purchase souvenirs and photos.